There are a lot of preconceived notions about the Irish and they all seem to reappear around this time of year. Here’s a short list nonsensical activities not commonly embraced in Ireland, followed by a few practices we enjoy on St. Patrick’s and other days. 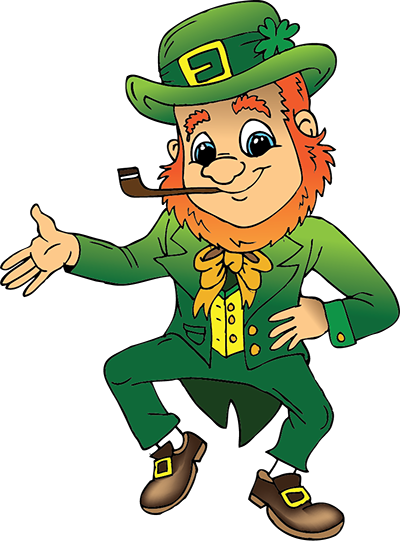 Our national holiday is referred to as Saint Patrick’s Day or, colloquially, “Paddy’s Day”. “Patty” to us Irish is a diminutive of “Patricia” or something like a raw beef burger. The only Irish person to say this would be an actor and then only for a fat fee. Since bacon and cabbage is a much-loved dinner, eaten once a week at least, and corned beef is now a rare delicacy usually enjoyed mid-winter, our St. Patrick’s Day meal would be more like a Sunday Roast, say beef or lamb, with all the trimmings. Croagh Patrick is “the holy mountain” near Westport in County Mayo (on the Wild Atlantic Way); on the last Sunday in July, pilgrims ascend to attend Mass, pray or just enjoy the view. This practice is locally called “climbing the Reek”. In late August, devout pilgrims spend three days fasting and praying on an island known as St. Patrick’s Purgatory in Lough Derg in County Donegal. We’re too fond of our beers to adulterate them – Ireland has lots of craft breweries as well as the world famous Guinness. Apart from a slice of lime in Irish gin, the only verdantly-hued beverage consumed regularly by the Irish is a green smoothie. Potato & Leek soup is a favourite dish but soup is eaten, not drunk. Speaking of “drunk”, we don’t get blotto, blind or belligerently drunk either on St. Patrick’s Day. That myth arose from times past when the Lenten fast and abstinence could be suspended by Catholics on the patron saint’s Holy Day, which always occurs during Lent: a drop of whiskey or a pint of porter had much more potency after a period of abstinence – especially on an empty stomach. The national holiday is a great day for families. Children are encouraged to celebrate our culture and the parades nationwide are very popular with young and old. A family meal for all ages, preceded or followed by song and dance (in homes or public venues), is always relished in Ireland and St. Patrick’s Day is perfectly timed, bringing colour and joy in the middle of Spring and heralding the coming of the Easter break. Whether it’s into town for the parade or off to the wilds, we like to be out in the open air on St. Patrick’s Day. When the holiday falls on a Friday or Monday, we can make a long weekend of it and head off to the rolling hills or the seashore. Green fields, blue-green bays, good companions – let’s go glamping way out West!